As an FBA seller and FBA business broker, I get asked a ton of questions about how to sell FBA businesses. So I put together this short video to answer the most frequently asked questions I get from people wanting to sell their FBA business. My name is Coran Woodmass - The FBA Broker. Over the past 12 months I’ve spoken to 100s of buyers and sellers as a broker and in the 1st quarter 2016 I helped sell 4 FBA businesses. For the past 3 years I’ve been buying and selling online businesses and I currently own an FBA business I’m building up to sell. I’ve seen a ton of bad information online about selling FBA businesses and wanted to share with you what works. 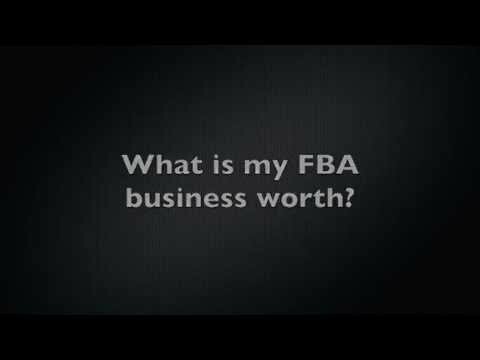 The first question What is my FBA business worth? There are many factors to take into consideration, as a rule of thumb take your annual net profit, this is known in investment circles as EBITDA (earnings before interest, tax, depreciation and amortization) and multiply this figure by 2. What will make my FBA business worth more than 2x EBITDA? The longer your business has been operating the better. Why? An investor's primary concern is return on their investment, the longer your earnings history the higher the chance it will continue to do so in the future. If your business is older than 2-3 years great, under 12 months not so great. Do you have a brand, are your products unique or can your product be ripped off easily? The more defensible your business is the better. Do you have multiple products in multiple niches? Do you have alternative traffic sources outside of Amazon? Are you selling garlic presses, with tons of sophisticated FBA sellers? This may scare off buyers. Competition is fine however a ton of super aggressive FBA sellers can make your business more volatile and less attractive to buyers. Next question, Can I sell my FBA business? In short, yes! You can sell your FBA business and there are cashed up buyers looking for deals, right now. The question is are you ready to sell and what price will make it worthwhile for you. I’ve created a quick quiz to help you figure out if you can sell your business. Take the free quiz here and I’ll let you know if your FBA business can be sold. How do I transfer my FBA business and get paid? I would highly recommend using a broker to assist you to not only find a buyer but also help with the negotiation, transfer and make sure you get paid. Find out if you can sell your Amazon FBA business, take my free quiz and I’ll let you know if your business could sell. Don’t worry no need to reveal your niche or product names etc. Just dropping in here to vouch for Coran. He's a solid guy and knows a ton about the ins and outs of selling an FBA business. In fact... he is the one who helped and coached me through selling my own FBA biz! The idea of selling was a daunting task so I had never really considered it. He made the process fairly simple by simply showing exactly what info I needed, and how the entire process would work. I'm not getting any kick backs from this recommendation, just happy with the service. 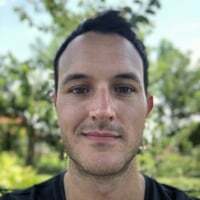 He connects buyers and sellers, and possibly even more importantly makes it easy and shows you how to maximize your acquisition price. Highly recommended. Great Post Travis! Thanks so much for the information. Awhile back I was considering selling our Amazon business so I gave up and never considered it as well. Hi Coran, I'm new to this and was wondering why would you advise against selling an ASIN on it's own? Hi Branko, sorry for the delay in responding. The main reason is it can limit your buyer pool. I advise my clients to be open to including their Seller Central account with the sale. In my opinion and experience this is the fastest and most pain-free way to handover an FBA business to the new owner. In some cases the buyer will want to use their existing seller central account and in this case we would transfer control of the listings on Amazon. However this requires moving inventory out and back into Amazon plus extra costs in removal fees as well as shipping and handling costs. But it can be done. Awesome. Thanks for clearing that up for me.